This thread is for discussing LEGO Boost. Post your questions and advice here. The Android app has been updated to 1.0.2 today and seems to be a bit more stable. The instructions for the main robot are accessible now: yesterday the bulldozer-ish model's were shown instead. Where I come from a boost is something highly illegal and bought on street corners in a shady part of town (or a franchised, overpriced fruit juice company). 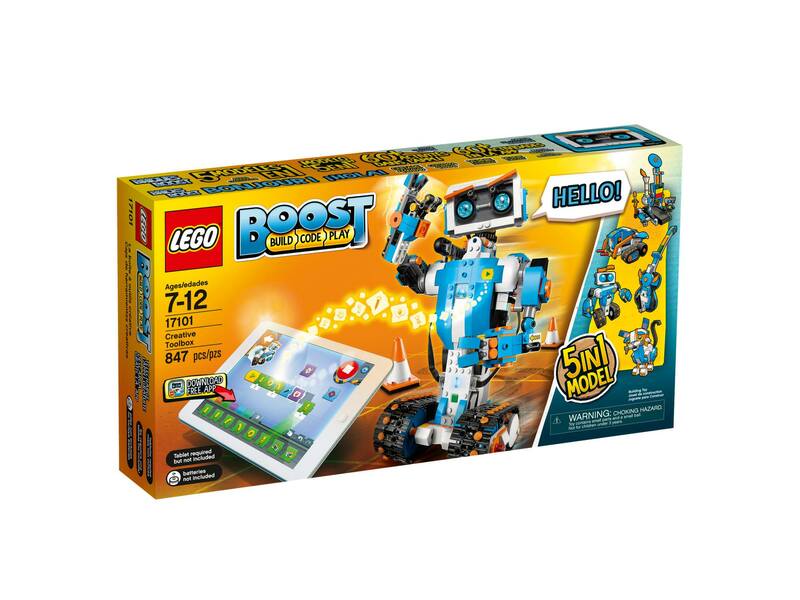 What exactly is a LEGO boost and where do I get one? Can it let me design LEGO train layouts on iPad/iPhone? And, on that tangent, I'm sure there was once a way to design layouts on iPhone/iPad but for the life of me I can no longer find it. Or, was it another one of those situations where I imagined something really awesome while on a Whiskey bender? Very deceptive marketing by LEGO that there's no onboard speaker in the system... Nothing on the product page mentioned that, while all of the marketing videos released indicated it did have onboard sound. After reading @Huw's review I'm kinda miffed. It's a neat package, but LEGO need to publish how to hack this thing now, or in a year or two when tablet versions move on this will just be worthless junk. There's probably not a lot on board: I suspect all the processing is done on the tabletw, with the move commands etc. sent to the hub via Bluetooth. I think this might be the problem with the set, that everything is app driven rather than physical. We know what happened to Fusion and Life of George. If the app support is not there, then the set is worthless. That said, if the bluetooth signals are reverse engineered, then people could write libraries for homemade apps. Although possibly more interesting is if the app can be hacked to connect to other bluetooth devices, then it could open up other home-made electronics like has been done with lego IR remote controls and arduino libraries - you can use lego's controller to communicate with arduino powered devices and, vice versa, arduino to send IR commands to lego's IR receivers. Although I guess if you are going to hack the app and the electronics, then there is not much point to the set. It is really the app part that is special; otherwise the kit side is not that different to other bluetooth devices like s-brick or homemade versions. Pretty cool to see an NXT like system that is brick based rather than technic based. Can't wait to see what people create! When my daughter got her hands on this set, she was (unexpectedly) most interested in the model factory, so we assembled that first. The result was disappointing. The motor driving the conveyor belt doesn't seem to have the accuracy or resolution needed to reliably assemble the models. When making a standard bot model, our kit will reliably place the first black brick onto the assembly position of the sled. However, when it attempts to stack the next brick, there is usually just enough of an offset between the sled and the arm so that the two bricks do not connect when pressed together. The green brick remains in the grasp of the arm, and nothing works after that. I also tried to use the direct conveyor controls to position the sled for stacking, but I was still unable to overcome the offset - the control was not fine enough, and I'd overshoot or undershoot the target position. Finally, the arm occasionally fails to grasp bricks as it attempts to lift them from the sled. I assume this is from oily fingerprints on the bricks reducing friction just enough for gravity to take over. We'll fiddle with it a little more before moving on to one of the other four models. Avoiding the urge to grab one of these sets....waiting for more reviews to come in, it looks like the majority of negative reviews out there from basic consumers are people who can't read and find out after opening the box they need a tablet, or don't check to make sure their tablet is compatible. The people that are using it seem to like it. I think I am going to pump the brakes here and wait, the app just went live today right? Yes, that review was nice, but it showed very little of actual use. I am assuming there will be a follow up later? 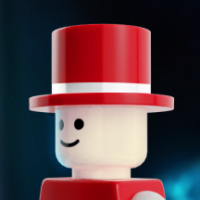 Turns out I can't install the LEGO Boost app on my Android phone, which is a major disappointment. It just says it's not compatible with my device, which is running Android 7, and has Bluetooth and 3GB RAM (and is arguably a better spec than many tablets out there apart from the physical screen size). It doesn't actually show me why it's not compatible - the only thing I can think of is that they might not want it to be installed on devices that have physically small screens? Nonetheless, the resolution is still 1080P, and I'd rather be able to run it on a 5" screen than not at all. It's a tad annoying, as I probably wouldn't have bought Boost if I realised I would actually have to buy a "real" tablet as well. Which part made you think you could install on your phone when it specifically said tablet? Interesting about the size of the tablet though. Not sure why that would matter. At any rate, I am guessing with the backlash they're fervently working on the software as we speak adding phone support. ^ I would imagine that it is because many android apps will work on both a phone and a tablet. The size requirement is rather bizarre - surely it is a resolution requirement that should be needed. Why insist on 8"? Some crappy 8"+ tablets have the same or worse resolution than smaller ones. I've been waiting for this product since it was first announced last year. I placed a pre-order and will receive it today, according to my tracking number. I have an iPad Mini 1, iPhones and many Amazon fire products. Of course, none will work with the Boost app. I do have a Chromebook and surprisingly the app installed there. So here is my question: If I am able to launch the app and got to the screen where it is asking for me to turn on the Move Hub, can I assume that it should work? Other than the tablet issue, which is very bad imo, I am also a little disappointed about the negative reviews. My kids are too young for EV3 but I really wanted a STEM project based on Lego to really spark their interests (and to also satisfy my Lego addiction). I have a lot of hope for this product and hope it will continue to improve. Yes many apps work on phone and tablet, but they specifically stated and printed tablet. If they had just said android device I would have seen the confusion. Yes, but many tablet apps will run on a phone, just that they are more comfortable to use (due to size) on a larger screen. Fat fingers on small screens don't work so well, but the app could still run. It wouldn't surprise me if they get loads of open box returns on this set due to non-compatible tablets. I dunno, maybe I am just a very literal person, if you tell me something requires a tablet I assume that's what you mean. But yeah, I am sure they've already had a good amount of returns. I never knew tablets were so rare reading all the reviews. They give them away when you buy phones where I am. Yes, it requires a tablet. It's clearly stated, so I'm with @Hanzo on this one. I've not bought it yet, but (before finding this thread) checked yesterday if it would run on my phone (as there was a report from someone on Facebook that it worked on their Galaxy S7). I only have one compatible device and that's my daughter's Kindle Fire (which I flashed Cyanogenmod Android onto instead of Amazon's OS). It's "normal" for Google Play not to show why something is not compatible, it's always been like that, and it's very annoying. There are ways to restrict an app from being installable through Google Play on a device: Android version (or rather Android API/SDK version I presume), screen size, and possibly others (but at least those). I don't think resolution is actually one of them. Based on my devices being compatible or not, I surmise Android 6 + 8" or larger screen is the requirement. The Kindle's resolution is lower than Full HD (1280x800) so that's not a requirement at least. Well, my 7" tablet is definitely not a phone, but that's still not big enough to run the app. I don't think that's really my fault when nothing on the box mentions that it has to be 8+ inches! But my phone is far better and faster than the tablet, and has a much higher screen resolution, so that's why I would have preferred to install it on that (after all, when it comes to Android, a tablet is just a phone that can't make phone calls). But it turns out that I cannot install it on either device, and I think the only reason for that is because of an artificial restriction in the app's manifest file that says the screen must be physically large enough. Oh, there you go. Where did you get those requirements? Indeed it's an artificial restriction, someone decided "you must be this large to run this app". While my phone is a lot faster than the Kindle, too. Hopefully they will just relax the restriction and instead simply recommend 8"+ devices rather than requiring them. It could save them a fair bit in returns - not everyone can or wants to sideload apps. Android requirements are listed on https://www.lego.com/en-gb/service/device-guide/boost. I already feel like I'm beta testing something that isn't yet ready for release. Well, my daughter was very excited when I showed her the box. Unfortunately I cannot get it to work with the chromebook. The app responded to the move hub but then just hangs at "Connecting" screen. So it's either the app is buggy or Chromebook emulation of Android apps is not perfect enough for the Boost app. I really do not need another tablet and since I have already opened the box, I feel really guilty if I have to return it. Heck, I DON'T want to return it. I just wanted it to work. I get it. 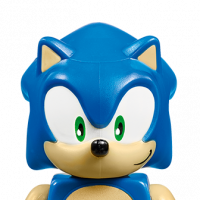 I know this is not supposed to be a cheap toy, and I have no problem that the app needs certain minimum requirement. I am more than happy to give Lego almost $200 for this but obviously it's now going to cost me more. I'll continue to do more research on this. I want to make it work. But definitely very disappointed at the moment. I spent most of the day building and playing with Vernie....whom I've renamed and did a gender change. He is now a she. I'm pushing 70 and most times I can't figure out how to swipe my phone to accept a call so I was a bit hesitant about getting this set. I am really pleased with the Boost. I've had no issues with the app from download thru coding. I'm using an IPAD Pro. Though the coding is easy I think an internal help function would be nice to give a brief description of what the symbols on the coding blocks mean. As mentioned in the article some are not easy to figure out? It was time consuming going thru Vernie's vocal responses as all 101 icons gave no indication of what the response was. I ended up making a cheat sheet to make it easier for me to change up robot and human verbal interactions. Wish the robot had an onboard speaker so it's response didn't sound odd coming from my IPAD several feet away. I would like to make the cat....but not sure I want to break apart the robot to do it. I've not had a lot of time to use mine yet but I have built Vernie and have programmed it a bit. In the Android app, the code seems to freeze every now and again for some reason. Would you like to share? I suspect others would find it useful. Thanks! I am trying to get more info but it's not going well. All I am seeing is basically videos talking about what it is and building the different models, not really anything showing actual use. When I search youtube I'm only getting results from 2 weeks ago. Is this thing dead already? I'm also noticing there isn't much action on this forum about it. Has anyone who has been playing with this also have a problem with the huge drain on batteries. About every 2-3 plays (and we only turn it on for about 10 min at a time) we're getting an battery low indicator. I've spent an arm and a leg buying AAA batteries. Not sure if it's a just a defective unit or it is actually suppose to be used up that fast. So any insight would be greatly appreciated. I've not used it enough to judge yet. The woman at B&N who gave the demonstration for Boost said she encountered the same problem with battery life and was fully recommending to get rechargeable batteries. Seems that is a problem. Get rechargeables for anything that uses motors. The 'Build, Code, Play' sequence idea works quite well, (I started with Vernie). The method breaks a little towards the later stages when worrying larger numbers of 'spare parts' remain from bags 9 on. Some of these get picked up in later stages. Also the instructions sometimes repeat i.e. for the traffic cones and the target. Presumably the 'open bag number X' instruction fails if other models are built. Without written instructions it will be hard to 'rekit' the set back to numbered bags. It would be nice to have a 'cheat list' for the icons. My tablet's microphone isn't sensitive enough for 'clap' activation (it works if I slap the back). My tablet has a pop up 'home' menu that clashes with the Boost icon menu so it would be nice if the icons could be parked somewhere else. Once a program strip is set up everything normally works but sometimes after a sequence has been repeated an icon will hang up (it flashes) and I haven't found any way to reset it short of closing the app. The technic elements are quite hard to push together, would a 7-year old be strong enough? It is an entertaining set though. It would be nice to have data on the hub protocol so that apps could be written in Python, say, and run from a laptop. Hello much of the Lego BOOST pictogram used in the app the kids at my work do understand, but is there a site/place where is can find the meaning of all the picto's and what they do/mean ? Just wanted to drop by and share our experiences with tablet compatibility. We initially bought the Boost alongside an 8,4" Huawei Mediapad M3. Altogether an excellent tablet but would not connect with Boost reliably. After a weekend of trying to get them to work together we had a support chat with Lego customer service and then a support call the next day. The rep hinted at information from their 2nd level tech support that Huawei's Bluetooth implementation may not be fully up to the standards. We exchanged the M3 for a competing platform and have had no problems since. That doesn't surprise me as several Huawei phones have compatibility issues with e.g. fitness trackers. Bluetooth is one of those "standards" where actually it's close to magic that it works as often as it does. Huawei's implementation might be further off the standard than most. I note that Lego have responded to reviews on Amazon USA and e-mailed out a PDF of the icons. It is a pity that they haven't put it on the Lego support site. Hi everyone. My 9-year old son Alfie and I have been busy building Vernie over the past couple of days and I have to say, Alfie totally gets it. It seems to be completely intuitive for the target age group. Vernie is great fun and his little costumes/characters like the police officer, boxer and hockey player are nice additions to extend the coding/learning process. We too have noticed the set of AAA (Energizer Max) are already apparently running low so I've purchased some Duracell Ultra Power to see how they fair. If it really does eat batteries, then that's not great. We've not experienced any issues with coding using an 9.7" iPad (2017 model). Dowloaded app upgrade today but so far can see no difference. Slightly frustrated that Vernie is still denying access to the final level - what do I have to do, find the golden sword in the diamond cave guarded by the green dragon? Hi, I contacted Lego who said they don't have anything they can send out that explains the various commands so I have started to create my own crib sheet for Vernie which I have attached here. If anyone can help fill in some of the missing bits that would be great? If Lego don't get their act together I plan to do the same for the other models when we get round to building them. Hey this is great, thank you!! Any luck with the other symbols?